This is what I wore when I filmed the Goodwill Fashion Show promotion. 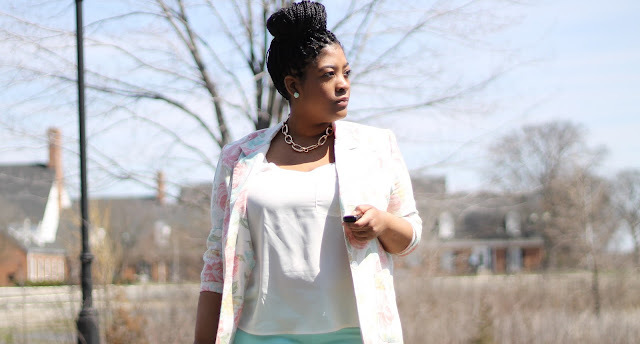 I really really loved this look and it just screams Spring! Quick background on this floral print blazer, I found it maybe two years ago, while thrifting and finally decided to wear it! I definitely have thrifted way too many great finds that I haven't worn and I have to make an effort to do better! So how do you feel about the floral and pastel trends? Will you wear either?